Create durable outdoor pieces with Patio Paint Outdoor acrylics, available in 53 colors. 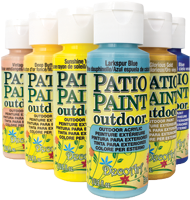 Patio Paint Outdoor is water-based and non-toxic for easy clean-up. It provides excellent adhesion to exterior surfaces such as concrete, terra cotta, masonry, and wood. Patio Paint Outdoors comes in 53 vibrant colors that offer excellent, durable coverage in just two coats. Fluorescent acrylic paints made with bright, concentrated neon colors. Layer on top of corresponding Patio Paint Outdoor colors to make them pop even more. 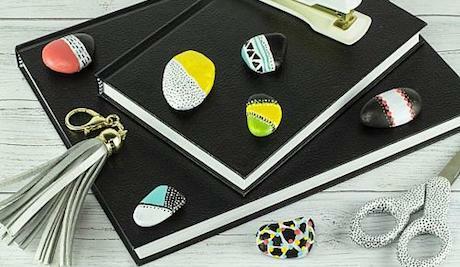 Metallic acrylic paints made to withstand the elements. 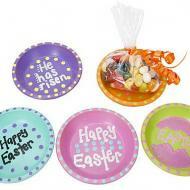 Add some shine to indoor or outdoor home decor pieces. 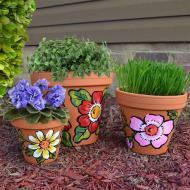 Get inspired with our craft and DIY project ideas made with Patio Paint Outdoor. Learn more about using Patio Paint on your outdoor projects. 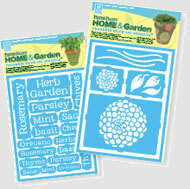 Make decorating your outdoor pieces even easier with our reusable stick-on stencils.